Competition watchdog, Competition Commission of India (CCI) has initiated a probe against various public sector general insurers and their association, for alleged anti- competitive practices with regard to third-party administrators (TPAs) in health insurance. 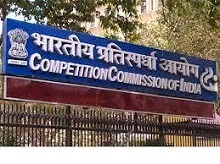 CCI recently ordered an investigation by its Director General-Investigation, against public sector general insurance firms-New India Insurance, Oriental Insurance, United India Insurance and National Insurance, as well as their combine, the General Insurers' (Public Sector) Association of India (GIPSA). In its probe order, the CCI has alleged that the four state-run general insurance companies dealing in health insurance business were not allowing third-party administrators to function independently and have created in-house TPAs to settle claims. The conduct in which insurers do not allow TPAs to work independently is against the prevailing worldwide practice to keep TPAs independent from insurance companies, CCI said in its latest newsletter, referring to the order. The Competition Commission has also alleged that GIPSA, an ad-hoc and unregistered body, was providing a platform to the companies to share sensitive information with each other. This affects competition in the market and also provides space to them for exchanging information regarding claims ratios, marketing efforts and terms and condition of TPAs, among others. According to an official, the in-house third-party administrator is yet to start its operations, which would take at least one-to-two years. Further, all TPA business will not be transferred to this new company and external TPAs will still be engaged.